Now available from Spanlift Buildings , Dump-N-Store storage buildings are an ideal way to store materials safely and are also suitable for distribution and processing oeprations. The substance to be stored in Dump-N-Store storage buildings is taken into consideration as the building is being designed and engineered. As a result, the storage building offers optimal conditions for that substance. 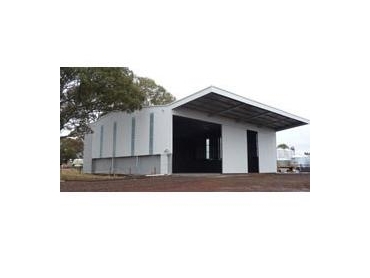 Also considered in the construction of these storage buildings is the exact loads that are required for the handling and storage of equipment. pale eucalypt and zinc colours available.